Annotation: From colors to counting to phonemic awareness to the four seasons, this collection of music and lyrics includes lively original songs on favorite early childhood topics. Toe-tapping tunes, fun lyrics, and learning-filled activities help young children build oral language, listening, and early literacy skills! This comprehensive collection includes audio versions of every song, reproducible song sheets, teaching ideas, and activity pages. A brain-based way to engage and teach children of all learning styles?nd meet early childhood standards! 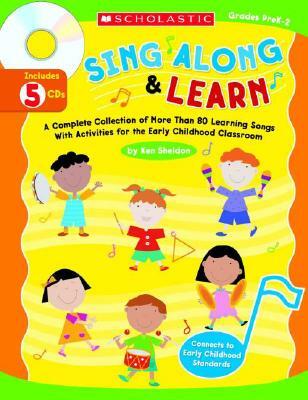 - Children's songs, English; Texts.